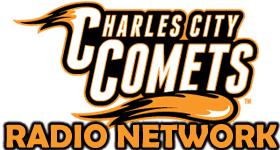 In a game heard right here on KCHA last night, the Charles City Comet baseball team was in Waverly for a Class 3A District 5 Final against the Go-Hawks. Waverly took an early lead with four runs in the first inning. The Comets would chip away and eventually tie the game at five after the top of the fifth inning. The Go-Hawks then got a run in the bottom of the fifth which would be the last run of the game and they beat the Comets 6-5. Theo Arndt led the Comet offense with two hits, a run scored and an RBI and Wyatt Stevenson had two runs batted in. Cole Reams pitched well for the Comets as he threw five and two-thirds innings, gave up two earned runs on four hits and struck out four. The Comet baseball team ends their 2018 season with an overall record of 16-12. The Charles City Comet softball team will begin their State Softball Tournament today with a Class 4A Quarter-Final game in Fort Dodge. The Comets will be taking on Des Moines Hoover on the Buena Vista University Diamond. The Comets are the two-seed at the Tournament and come in with an overall record of 33-6 while Hoover comes in as the seven-seed and enters with a 19-7 record. Charles City’s offense comes in with a team batting average of .398 and have hit 33 home runs while Hoover hit .349 as a team with 19 homers. The Comets will likely see Hannah Blackford inside the circle today and she comes in with an 8-3 record with a 2.88 Earned Run Average. 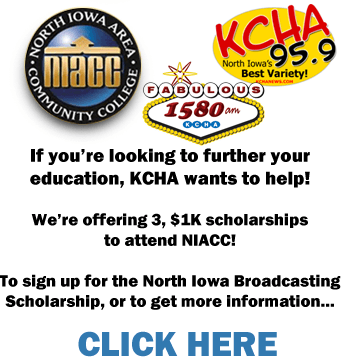 Charles City will combat the Hoover offense with Sami Heyer who comes in at 23-3 on the season with a 0.70 ERA. You can tune into this game right here on KCHA starting with a pre-game at 2:45 and first pitch is scheduled for 3pm.